People become members of golf and sports clubs not just for the sports facilities but also to dine, relax, and enjoy themselves in the company of their family and friends. However, because people are always looking for something new, it’s easy for club owners to lose members. That is, unless you think of ways to continuously up your game. One way to do this is to refurbish your club to keep it looking its best. Here’s how. Your entryway is the first spot in your club that your members and potential members will see. It is where their first impressions will be formed so making it appealing and inviting should be one of your top priorities. At the very least, it should reflect the overall theme of your club and be spacious enough for members and their guests to come in and out. Provide stylish and comfortable club furniture that will encourage people to lounge around. Although the main focus of these membership clubs is the sports and recreational facilities, do not forget that your club also has other revenue streams, such as a coffee shop, lounge, and other dining areas. Having dining areas will provide your club members a reason to stay longer after engaging in a game of tennis, for example. While you’re at it, renovate your kitchen as well to help your staff to store, prepare, and cook food more efficiently. Over time, asphalt or concrete flooring on your courts and fields become cracked, split or broken. Restore them to their former glory to bring them to a whole new level of finish, function, and appearance. Not only will they become more visually appealing, they will also ensure your club members’ safety and enjoyment. Similar maintenance must be done to the flooring in the other areas in your club. The last thing your members need after enjoying your sports facilities is to shower and change in an old and dingy changing room. There are many ways to improve your changing room including replacing broken toilets and showers, installing new safety flooring and entrance matting, installing better lighting, and putting in new lockers and benches, among others. Sometimes all you need to make a place look nice and fresh is a new coat of paint. Try a new colour for both the interiors and exteriors of your club. Wallpaper is also a good alternative for your walls. Further, you can spruce up your walls some more by using fabric to cover wall openings or windows. Nobody likes to see tired, worn out furniture. Make it inviting for your customers to stay at your club longer by using club furniture that are not only beautiful but comfortable too. Use contemporary club chairs, tables, and bar stools that go well with the theme of your club. Lounge chairs are also perfect for the quieter areas of your club. Maintenance is a very important factor that affects the overall durability and life span of your sports facilities and your club as a whole. 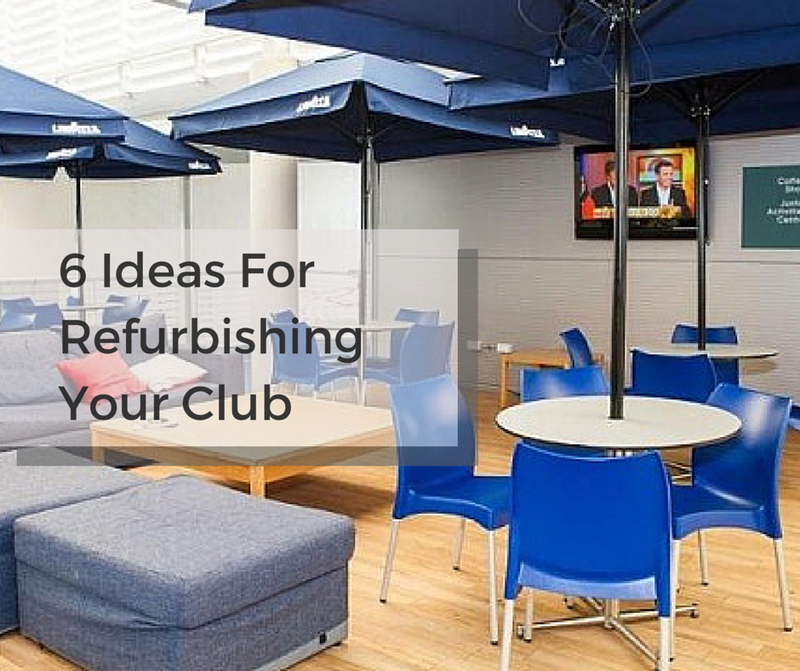 No matter your budget, there are many refurbishing ideas you can use to renew your club’s dated look. The most important thing is to always keep it fresh so that your customers will keep coming back. 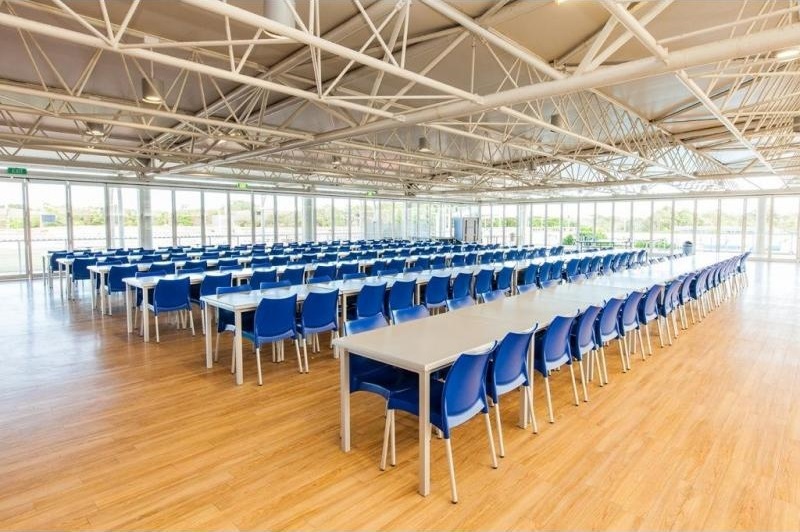 Our wide range of club furniture will help you achieve a successful refurbishment of your club. Call us at 1300 559 965 to place your order or use our online quote cart.